Window types and material are noted and a representative number of windows are tested for functionality. As possible, depending on condition of the window and weather conditions, windows are opened and closed, the tilt-in feature is tested and defective seals, caulking and glazing issues are noted. Wood framed windows are checked for rot. Inspect to make sure retaining wall is performing as designed and retaining or diverting drainage properly. 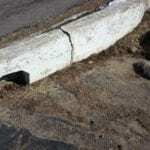 Look for cracks in walls and indications of washouts. Observe to make sure walls are not leaning with the downward slope of the grade. Pay particular attention to wood framed retaining walls and note any pest infestation. Report on grading deficiencies that direct water towards the structure and foundation, instead of away from the home. 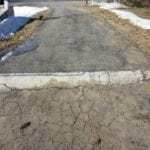 Report on condition of driveway, patios and walkways to include observations of cracks, missing pavers, heaving and any issues with washouts or lack of base support for asphalt or other surface coverings. Inspect and note vegetation to close to structure that can contribute to moisture issues, mold and pest infestation. 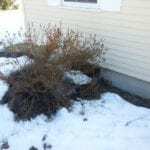 Vegetation can cause rot and mold due to excess moisture in contact with the structure. 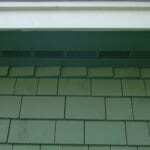 Note condition of visible trim on eaves and look for rot, missing pieces, trim in need of repair or replacement and any areas in need of cleaning, scraping or staining/painting. Note any areas of exposure that could allow wildlife to enter the structure. Note condition of steps, porches and railings. Check for proper rise and run on stairs and note lack of proper railing system to include properly spaced balusters. 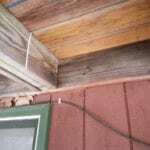 Note improper construction, rotted frame and deck material and need for paint or stain. Balcony frames are inspected for any inadequacies such as rotting wood. 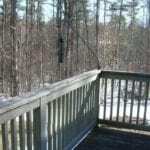 We also look for a proper railing systems and insure a deck frame is properly attached to the ledger board with “Lag” or “Timber Lock” fasteners. 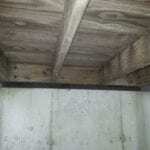 For cantilevered balconies, we inspect for rot at areas where joists penetrate the structure. Balconies are prone to rotted wood and if not installed properly with joist hangers and proper dimension framing material, serious injury can occur if there is a collapse. We also make observations about support posts to make sure they are positioned properly and are set on a proper footing, not surrounded by dirt or vegetation that can prematurely rot the posts. The frame of any deck is fully inspected and any deficiencies are noted. We look for rotted wood, a proper railing systems, and insure that the frame is properly attached to a ledger board with “Lag” or “Timber Lock” screws. Lack of joist hangers at the ledger board and rim joist are noted. Cracks in joists are noted. 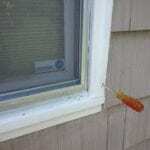 Support posts that are crooked, cracked, not set perpendicular or set in dirt or debris are noted for repair. 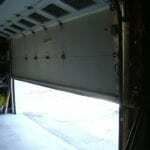 Garage doors are inspected to determine what materials they are made of and if insulated. We will verify if a garage door operates manually or by using permanently installed controls and/or remotes. We will also look for rot, dents and other deficiencies that could hinder proper use of the garage door(s). Photo Bean and Auto Reverse Safety devices are tested to insure proper operation. 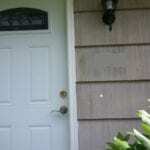 Door types and material are noted and doors are tested for functionality. As possible, depending on condition of the door and weather conditions, doors are opened and closed and defective seals, caulking and glazing issues are noted. Wood framed doors are checked for rot. Dents and rust in metal doors are noted. Holes in doors (missing locks sets) are noted.